How often do we as believers take for granted the resurrection of Jesus Christ. 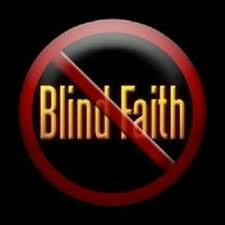 In fact, it is the neglect of this particular doctrine, as well as a few others that have led the world to believe that Christianity is based upon blind faith, which is completely false. These are the grounds for which biblical faith are to be established, not some kind of blind assumption, nor an personal emotional experience having been raised in the church where a person simply follows the tradition of their family; misunderstanding that they think that this is the foundation of their faith – It is not (“For we walk by faith, not by sight” ~ 2 Corth. 5:7:, Biblical faith is to be based upon God’s Word! Experience comes into play after faith has been established in God’s Word wherein, when we undergo a situation which aligns with God’s Word, and rather than think secularly and skepticism, we exercise our faith that our experience will align with God’s Word, more than the reality that we face on a daily basis. There is a place for experience, but only when it lines up with God’s Word; because God’s Word is where faith comes from. So as Paul says, and we seldom think about; everything in Christianity stands and falls on the resurrection of the dead, and the ability of a human being who was once completely dead, is raised to life again – and that the person that said He would raise again, proved the validity of all of the statements and that He had made by being resurrected from the dead – that person that we referred to as Jesus of Nazareth, the Christ; the Messiah of Israel, the Redeemer of mankind – God incarnate. Therefore, it is in considering the subject of apologetics, which sounds so lofty, yet is so simple; that we should consider what are the facts that we can hold onto, that we can present to an unbelieving world concerning the resurrection of Jesus Christ, and what are those external proofs, those things the world does not ever consider, that the Holy Spirit can use to bring yet others into God’s Kingdom, fulfilling their calling that was established before the foundation of the earth (Ephesians 1:4). You see apologetics are NOT meant to convince people analytically to become saved. 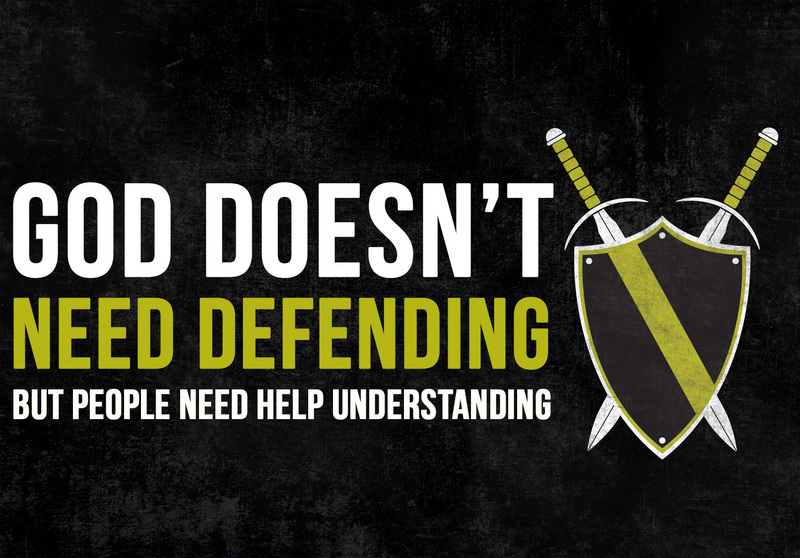 No, apologetics; that of making a defense of the gospel, which is what Peter is speaking about in 1 Peter 3:15, which is in the Greek is in the imperative – it is not a luxury, it is a command that we have the ability to defend the gospel of Jesus Christ, which means defending the resurrection of Christ from the dead. 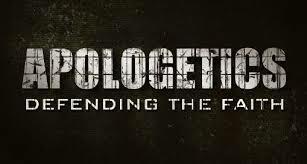 The word “apologetics” is derived from the Greek word “apologia,” which means “to make a defense.” It is used in a reference of a systematic discipline in which a position is defended in a rigorous and analytical fashion. “Apologetics covers many areas: who Jesus is, the reliability of the Bible, refuting cults, Biblical evidences in history and archeology, answering objections, etc. 2) An analytical evaluation concerning the apostles, the resurrection of Jesus, and the extent to which the apostles were willing to lay down their lives in regard to their belief in the resurrection. There are many secular accounts by individuals (non-Christian) concerning the existence of Jesus Christ which validate His (I have capitalized pronouns concerning Christ, because I have already asked these questions, and have come to the conclusion that He is the Divine Son of God) execution for claiming to be God, as well as the life and persecution of His followers. We will start with the most prominent. Flavius Josephus, was a secular Jewish historian which was not a believer, he was reported to be a Pharisee, but definitely practiced Judaism. Josephus directly referred to Pilate and the crucifixion of Jesus, His movement and followers. Josephus wrote “The Testimonium Flavianum” (meaning “The Testimony of Flavius” [Josephus]) which is a passage found in book 18, chapter 3, 3 of the Antiquities; which is thought to not be authentic by many historians; and is therefore the most discussed passage in the writings of Josephus. “Now there was about this time Jesus, a wise man, if it be lawful to call him a man; for he was a doer of wonderful works, a teacher of such men as receive the truth with pleasure. He drew over to him both many of the Jews and many of the Gentiles. He was [the] Christ. And when Pilate, at the suggestion of the principal men amongst us, had condemned him to the cross, those that loved him at the first did not forsake him; for he appeared to them alive again the third day; as the divine prophets had foretold these and ten thousand other wonderful things concerning him. Josephus was a Jew of the priestly line of Israel, as well as the line of Judah. He was an envoy of the temple to Rome regarding the arrest of temple priests. Upon his return he found that his nation was instigating revolution against the Romans which he attempted to dissuade, both logically and spiritually; yet to no avail. Josephus was inducted into the revolution as a Jewish commander. Later he was captured by the Romans, and presented himself to the Romans as a prophet of the Jews. When his prophecy came true concerning Vespasian becoming the Emperor of Rome, he was elevated within the Roman court, and was made an interpreter and arbitrator at the destruction of Jerusalem, also an advisor to Titus, the Roman general. He became well-respected within the court at Rome where his writings gained great credibility and were held in the highest regard for many centuries in Europe, second only to the Bible (See: LINK). Cornelius Tacitus, (55 A.D.-120 A.D.), a Roman historian that was referred to as the greatest historian of ancient Rome. He recorded the false charges and execution of Jesus, as the founder of a new religion, who under Pontius Pilate, the fifth Prefect of the Roman province of Judea (26 A.D.-36 A.D.), during the reign of Tiberius was executed. Lucian of Samosata, a Greek satirist who was popular around 175 A.D., spoke about Christ and the Christians in a scornful and derogatory manner. Suetonius was a Roman historian who was a court official of Hadrian who spoke about the person of Christ as well as His followers, and the fire of Rome in 64 A.D. which he states was a punishment by Nero inflicted upon the Christians, who were also blamed for the arson. Hadrian, the Roman Emperor who speaks about the existence of Christ in reference to His followers, Christians; and sets forth orders concerning their prosecution. Pliny the Younger was the governor of Bithynia in Asia minor around 112 A.D., who affirms the existence of Jesus Christ in connection to His followers, referred to as Christians, whom the government was persecuting to death that refused to curse the name of Christ, wherein the Christians would die instead of cursing their Lord because they had truly believed that He was divine; yet referring to the existence of Christ and His execution as common knowledge at the time. Trajan, the Roman Emperor openly stated that he was aware of the existence of Jesus Christ, and that concerning His followers he sent a letter to Pliny the Younger (Epistles 10:97), wherein the Emperor orders Pliny to not punish Christians who are forced to retract their beliefs. He also advises him not to believe any anonymous information given by Roman officials concerning Christians in order to persecute them. Thallus was one of the first secular writers of wide acceptance that spoke about Christ around the year 52 A.D. He went so far as to record as fact that on the day when Christ died in the late afternoon that darkness enveloped the land of Judah, indicating a supernatural response by God. Mara Bar-Serapion was a Syrian and most probably a Stoic philosopher who around 70 A.D. wrote a letter from prison to his son encouraging him to seek wisdom, and in his letter he compares Jesus to the philosophers Socrates and Pythagoras. Antoninus Pius, the Roman Emperor who sent out a letter to the General assembly of Asia minor addressing the turmoil that ensued concerning the Christians in that area, and his desire that no charges would be made in dealing with the them at that time. Assenting to the idea of the existence of Jesus Christ, which was commonly accepted at the time, otherwise if there was question concerning Jesus’ existence, this would be presented as tools of dealing with Christianity, as the Empire was hostile to this new religion. Marcus Aurelius, the Roman Emperor sent out a letter to the Roman Senate describes Christians in fighting action in the Roman army. This letter was added to the manuscripts of the Senate. Assenting to the idea of the existence of Jesus Christ, which was commonly accepted at the time, otherwise if there was question concerning jesus’ existence this would be presented as tools of dealing with Christianity, as the Empire was hostile to this new religion. This was true also of Juvenal, Seneca, Hierocles; and others who addressed the torture and treatment of Christians, wherein if it was not an accepted fact that Christ existed would definitely have used this information in attempting to dissuade the followers of Christ. Much can be made of what is not said, as compared to what is said. As the Roman Empire spent two centuries attempting to annihilate Christianity, if there was ever a question concerning the existence of the person of Jesus Christ who founded this movement, this information would have been used. However, in all of written history there is never a question for the first three centuries after Christ’s crucifixion concerning His existence, not one of any notable consideration. Many religions record the existence of Jesus, some elevate Him to deity, such as Hari Krishna, and the Bahai Faith. While others acknowledge Him as a prophet, such as within Islam (the Koran and other writings), Hinduism, Sikhism, Buddhism, and Taoism. Yet, others state He is a false teacher, such as in Judaism as stated in the Babylonian Talmud, and the Jerusalem Talmud; however all support His existence. There are many other external evidences in the form of written histories and references that support the factual existence of the person known as Jesus of Nazareth, born in Bethlehem, who is reported to have presented himself as the Son of God. Based upon secular history, including that which is stated above, we know that the, man Jesus of Nazareth existed in the place and time which the New Testament records. The question then becomes from a secular point of view concerning His claims of the resurrection and His deity (Resurrection from the dead that validates His claims of deity, no resurrection; no proof of His deity); who was He? A post is published which will explain how the Trilemma works, and how it is used when it is employed as an apologetic tool in the hands of Christians in discussing the person of Jesus Christ with atheists ~ LINK. In examining these three possibilities concerning the true identity of who Jesus Christ, we will start with the consideration of Him lunatic, His mental health. Regarding the Mental Health of Jesus, What Did He Believe? In considering the mental state of Jesus we must first examine what He believed about Himself, which was that He believed He was deity, the Son of God, and would be crucified and resurrected as proof of this claim. Jesus made many claims in regard to being Divine, the Son of God Incarnate (Please see: John 10:25-33; John 5:17-18; John 5:23-24; John 8:12-47; Mark 2:5-7, John 14:1; John 14:6, John 14:8-11; John 20:28-29; John 5:39; Luke 24:27; Luke 24:44-46. There are many other issues which display His belief that He was divine, such as the titles He used for Himself which were titles used of deity, His claim of sinlessness, His posture of superiority to the Pharisees, who He refused to cow down to. He orchestrates worship of Himself, such as a Triumphal Entry, and the healings wherein He receives worship, and the fact that He seated within Himself the power to forgive sins – who does that, except God? ); we will look at two of these passages. Jesus also made seven “I AM,” statements, which the Jews understood to be an allusion that Jesus was using to indicate He was God, the one speaking from the “Burning Bush” as seen in Exodus 3:14, which states: “And God said unto Moses, I AM THAT I AM: and he said, Thus shalt thou say unto the children of Israel, I AM hath sent me unto you.” (KJV). Jesus used this “I Am” statement many times, such as John 8:28: “Then said Jesus unto them, When ye have lifted up the Son of man, then shall ye know that I am he [“he” is not in the original text, it is added by the translators thinking it was needed], and that I do nothing of myself; but as my Father hath taught me, I speak these things.” And to make sure that He was referencing Exodus 3:14, Jesus said in John 8:58, “Jesus said unto them, Verily, verily, I say unto you, Before Abraham was, I am.” Jesus left no ambiguity in connecting Himself to the “I AM” statements, therein claiming Deity(The 7 “I AM” statement are recorded in: John 6:35; John 8:12; John 10:7; John 10:11; John 11:25; John 14:6; John 15:1). Also see: John 2:19; Matthew 12:39-40; 16:4; Matthew 27:63; Mark 14:58; Matthew 26:61; Luke 9:22; John 11:25-26. While some might think the mental state of Jesus might be the hardest issue to approach, from a psychological standpoint, not having the Him present to examine; purely from a logical historical pursuit this is the easiest to investigate. Because of having such a great wealth of historical references to the personage of Jesus Christ of Nazareth, wherein His acclaim and public notoriety is established; He was a public figure that was well-known and spoke about, especially by those that were not His followers, and that did not believe His teachings. This raises the question, with all of these individuals paying attention to Him, and His behavior, and teaching; why has there NOT been any claims that He was insane by any secular sources or writers (At least for the first 1800 years after His crucifixion, and claims made during the last 2 centuries are based solely on conjecture without any evidence referring to prior witnesses closer to the time of Jesus. Any current accusations are NOT based upon first-hand considerations, or considerations by 2nd, or 3rd or 4th generation of individuals after His death. In fact, no reliable charges have ever been made until the “Enlightenment,” also referred to as “The Age of Reason” wherein Christian atheism started to become the norm as propagated by un-believing professors of Christian seminaries, and schools of theology; first in Germany, then the rest of the world around the first half of the 1700’s, up until the current time in history.)? Or even questions concerning His sanity? Or even more convicting, any reports at the time of He walked the earth regarding His conducted or any irrational behavior or noticed manner; which is common for a lunatic. Have you ever seen somebody that is insane, not act insane at some point in time? Therefore, the evidence that Jesus was NOT mentally ill is based upon the lack of presentation that He was. Let us think about this for a minute. You have a major religious figure declaring Himself to be divine, on more than a few occasions where the Pharisees and Jews would pick up stones to stone Him for making such claims, not a single word that He might be insane, or out of His mind. The Pharisees are a great indication concerning Jesus claimed divinity, because the Torah demanded that the individual who would commit this heresy, should be stoned. Yet, there is never an accusation that He is mentally ill. In all of history there is only one occasion where anyone ever thought that He might be mentally ill, and this was by His own brethren (Mark 3:21, 32 – The term “friends” is actually means family members, as is seen in verse 31), but why? It is one thing to follow along in a brother’s crazy claims because you love Him or even believe Him, it’s quite another to become converted to His cause after having staunchly been opposed to it, thinking He was crazy at first for having made such claims. His brothers, who were firmly antithetical to His claim of deity (“For neither did his brethren believe in him.” ~ John 7:5 KJV), displayed the weight of the evidence that was necessary to change their minds, and to even die for Jesus as a martyr. This should lead to the question what changed their minds? What was so convincing that they believed that their brother was Divine, the answer is easy. They were convinced by their own eyes. Jesus indeed was resurrected from the dead, this is the guarantee that what He stated was true, that after watching Him die on the cross, 3 days later He is alive, the wounds healed, with no weakness or sign that He had merely survived the crucifixion, still suffering from His wounds – NO – He was completely whole, no limp, no wincing; a new body which ate and functioned normally. The reason for this story of the brothers disbelief as found in God’s Word, was it displayed that these unbelieving men were witnesses to the fact that they were converted after His resurrection, based upon their eyes. There is not one other account in all of history were anyone has ever stated that Jesus was insane, a lunatic; based upon a first hand report. One would think this is the first thing that an unbeliever would consider when dealing with a person that claims to be divine, stating they will be resurrected from the dead. Laws of evidence utilized within our court system would demand that we set this consideration aside due to the lack of evidence, which would leave us with only the two options, that He was a liar, indicating He was a complete fraud; or that He was truly who He said He was, the Lord of all; the Divine Son of God. (3) his ability to astonish, is unpredictability, his creativity. If Jesus was a liar, how did he get away with it? I mean we have all these witnesses that the person of Jesus was crucified, and secular history of records that His side was pierced with a Roman spear; how do you fake that. One explanation might be the hypothesis referred to as “Swooning,” where it is stated that Jesus was not actually killed, but due to the cool temperature of the cave and other conditions, He later revived. There has never been a case of swooning – proved, and the conjecture that lowering the temperature by being in a cave, and therefore would better preserve a person who is near death is ridiculous from a medical perspective. Simply because lower temperatures more greatly inhibit infection, and lower temperatures in water can appear to almost suspend someone in animation for a time; has nothing to do with the fact of a person being in a cave at the temperature difference noted at only a few feet. We know the cave that Jesus was placed in, it is a known cave, which is burrowed in the side of a mountain, not deep underground. By example, the Luray Caverns located in Virginia, at a depth of 927 feet does maintain a temperature of 54 degrees (Fahrenheit). But this has nothing to do whatsoever with the cave that Jesus body was placed in, which was not deep underground. While the cave would have been cooler and stable in regards to humidity and temperature, the variance in temperature would not be enough to affect a change that this hypothesis suggest. Any competent scientist who is a medical doctor knows that this theory is ridiculous. This theory also displays a total lack of insight concerning Roman crucifixion, wherein death was from suffocation and the inability to hold oneself up by their legs to take a breath. When a person was crucified, their hands were bound or nailed out horizontal so that they could not hold themselves up using their arms. In this position the lungs are not allowed to fill as the person starts to sag down due to exhaustion. The person must push up with their legs to allow themselves to breathe, therefore after sufficient time and exhaustion they lose the strength, and expire due to suffocation. This is why when the soldiers would get tired of waiting for a prisoner to die, they would break their legs, and the person would die. Also, it must also be understood that based upon Roman law if a prisoner got away, the soldier would take his place – do you think that a Roman would take any chances – there has never been a record of this occurring, no man crucified has ever lived, there has never been any historical records of this occurring. Jesus only lasted six hours on the cross, and to verify His death, a soldier plunged a spear into His side up into His heart cavity, wherein both water and blood flowed, which has been referred to in secular writings. If Jesus was a liar, He would be a fraud. And worse than that, He would be an evil fraud because if of what He taught, wherein true Believes would follow Him into death, by the thousands, all for a lie. How evil is this that an individual would perpetrate a lie knowing that people would die to up hold that lie; would he not be a murder? You can’t state that He was a good loving man when He what He espoused, a terrible lie, would foster the death of so many people. Either He was a lunatic, which indicates He could not be a good and wise teacher or He was a liar and a fraud, and therefore not a good and wise teacher. If you do not believe the claims of Jesus Christ, you do not have the luxury of attempting to appear gracious, kind, and noble to the world; if you deny Jesus claims concerning Himself, then attempt to make statements that He was a good and wise man, you display that you are hypocrisy of the worst kind. If Jesus’ teachings were a lie and fabrication, then display the courage necessary to call Him what you think He is, a fraud. In fact the biggest fraud of all of history, having millions of people die for a cause that was not true, in fact even our dating system centers around the birth and death of this fraudulent religious zealot. This is why every time I deal with secular critics who claim that Jesus was a wise and good man, yet does not believe in His teaching; I take offense. I asked them how can they state that Jesus was a wise and good man, if what He taught was a lie that demanded the lives of many people, innocent people who believe the lie that would be willing to die before recanting of a lie, that they truly believed. An honest investigator examines all considerations, not just the ones that seem plausible, or even capable within his own belief system. You must eliminate all others before coming to the one. Because of Jesus was not a lunatic, and if he was not a liar; there is only one conclusion that is left, He was who He said He was, the Divine Son of God, the Lord of the world. This conclusion is the only one that can explain all the other considerations concerning this question of who Jesus was. Consider what Paul recorded in 1st Corinthians 15:6; whenever according to him, a majority of over 500 people were still alive who were recorded as having seen Jesus after the Resurrection? Yet, there is never a record of anyone disputing this assertion; there is not a single claim by any individual that this was not true, in fact secular history indicates many individuals were executed while claiming to having been eyewitness of the risen Christ (And this is not include all those witnesses that are named and indemnified in the New Testament). Listed below under Endnote 4, you will find the recorded history of the death of 12 of Christ apostles. This history has been recorded not only by the church followers, those that were the disciples of the disciples that witnessed their masters being martyred; but also by secular historians, all of who agree that these 10 apostles died as martyrs, claiming to have been eyewitnesses to the resurrection of Jesus Christ, having seen Him continuously on over 15 occasions, during a 40 day period until his ascension. There is a reason why this becomes important. Let’s think about it for a minute. If Jesus was a lunatic, truly those that had been with Him day and night for over 3 years would know that He was a lunatic. And if this was the case, they would’ve also known that He was not resurrected; and what man would die for the misguided and wrong teaching of a lunatic – none. If Christ was a liar, how did He perpetrate the lie. The Roman leadership, the priests and Pharisees, the Roman guards, all would have had a vested interest in making sure that Jesus did not APPEAR to fulfill His prophecies of being resurrected 3 days after His crucifixion. This is why the Roman guards were stationed at the tomb in the first place. If the body of Jesus was taken, alive or dead; the resurrection would have been believed, the priests and Pharisees would’ve lost credibility with the people, and therefore their incomes would’ve been affected. The Roman government officials, including Pilate would chance a revolution against their authority which would affect their positions and financial futures with Rome. Most of all the Roman guards had the greatest vested interest in making sure that the body wasn’t taken, wherein Christ apostles could claim he was risen, hence they would have been put to death for not fulfilled the job of guarding the tomb. What is interesting is that Roman historians have recorded the life of some of these guards after having come forward and stated that the body was taken – why were they still alive. The command and control of the Roman army never allowed a soldier to live who had lost a prisoner, yet these soldiers lived. The New Testament states that based upon the mediation of the priests, somehow these guards were not executed for the loss of the body. There has never been a case in history where Roman guards have been allowed to live after having been accused of sleeping while on duty guarding something that was stolen. And lastly, the stone to the grave would take more than a few men to move – who moved the boulder, not to mention how did they get past the guards? None of these questions make sense unless there was a conspiracy between the high priest and the Roman guards, and someone moved the stone to get to the body. The only conclusion is that Jesus’ close followers, those willing to risk their own life, had either let him out, or taken the body, if He was not resurrected. Many have concluded that it would take at least 7 or 8 or men to move the stone. Now, concerning the apostles, as stated all except one of them were martyred for their eyewitness account of Jesus Christ resurrection, wherein they claimed He is Divine. And for those that would say that it was not Jesus that was seen after the crucifixion, as witnessed by some of his followers not recognizing Him. Concerning why Mary Magdalena and two of His followers on the Emmaus Road did not recognize Jesus at first; remember the Isaiah prophecies, that His beard would be torn out of His face and that His scourging would deform him (“I gave my back to the smiters, and my cheeks to them that plucked off the hair: I hid not my face from shame and spitting.” ~ Isaiah 50:6 KJV), yet Mary recognized Him when he stopped speaking Greek to her, and called her name in their native tongue of Aramaic, when He called her name; and the disciples on that Emmaus Road recognized Him when they saw His hands, the scars; as He was breaking bread, witnessing the wounds from His crucifixion. Yet, this leads to the last question. These 10 men that died in different areas as far as 1000 miles away, proclaiming the resurrection, but why if it was a lie? If it was a lie, why would they die for a lie? Especially considering it would be easy to recant, then when you get back to Jerusalem, lie to everyone and say that you were tortured but never changed her story. Those back in Jerusalem would never know, it would be centuries perhaps until the stories all came together; and history would have recorded that some of the apostles had recanted their claims of the risen Christ. Yet we are to believe that these 10 men, when they didn’t have to, died upholding a lie hundreds of miles from their home – away from everyone, – yet they would die for a lie; this is beyond comprehension. While this may be considered circumstantial evidence, yet recently how many men have been put in prison for life on less circumstantial evidence than this. The fact that all of history agrees that these men died proclaiming the resurrection of Jesus Christ, which would affirm Jesus’ deity, is beyond belief! 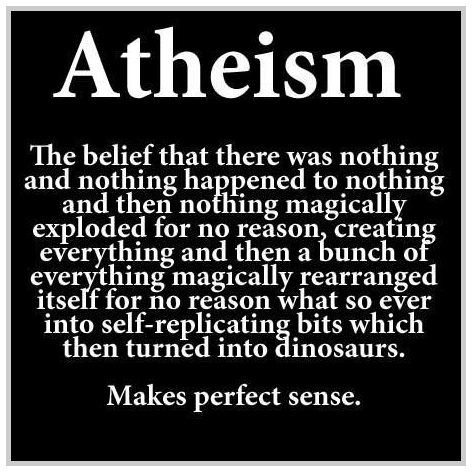 My conclusion to the atheist is that they have a need for far more faith to believe something so unbelievable as this, than I do in my belief concerning the resurrection itself. What is so amazing is when one openly studies (not simply read it) the Bible, seeing the prophecies spoken before they occur in such detail, the unbelievable wisdom that is beyond comprehension, the teaching that displays insights beyond human recognition, all of these things, wherein the Scripture says: “faith cometh by hearing, and hearing by the word of God” (Romans 10:17); it is easy to achieve Biblical faith; yet in comparison, setting all these things aside (without even evidentiary considerations – unbelievers do not truly investigate the Bible and its claims. Most everyone I’ve ever met that claims that the Bible is fraudulent knows nothing at all about it. 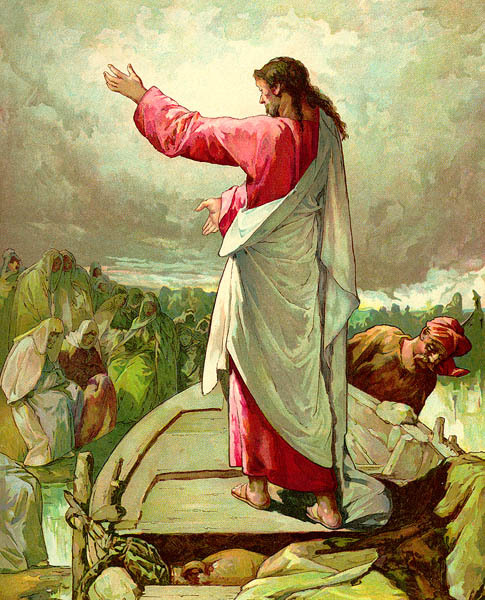 They display their lack of integrity by their unwillingness to even consider the proposition), including these external evidences that have been presented; takes far more faith than it does to believe that the Bible is true, that Jesus Christ is the Divine Son of God, who was resurrected from the dead, proclaimed to be the truth by many individuals that died for this reality. 3. The New Evidence That Demands a Verdict, Josh McDowell, Thomas Nelson publications, 1999. Simon bar Jonah – renamed “Peter” (meaning small “rock”), brother and partner of Andrew as fishermen in Bethsaida of Galilee; also known as Cephas. During the persecution of Emperor Nero, Nero sought to put Peter to death, wherein the Christians at Rome earnestly sought to convince Peter to flee the city, which he refused. Peter was crucified, yet sought in humility to be crucified upside down, himself unworthy of dying the same as his master. James, son of Zebedee, brother of the apostle John, nicknamed by Jesus “sons of thunder,” he was in business with his brother as fishermen, also known as “James the greater,” because he was a large man. He was beheaded in Jerusalem in the year 44 A.D. (not to be confused with James the half-brother of Jesus, referred to as “James the just” first Bishop of Jerusalem, writer of the Epistle “James” who was stoned in Jerusalem), along with his brother John. Bartholomew, normally identified as Nathaniel of Cana in Galilee, was the son of Talemai. He traveled to India and preached to the inhabitants, translating the gospel of Matthew into their native tongue. He was executed in the city of Albinopolis after many persecutions, he was beaten down with staves, then crucified, and after excoriate, he was beheaded. He took the gospel to the Scythians, Sogdians (the area of the Ethiopians). He was crucified in the city of Patrae, in Aachae,on the North coast of the Peloponnese, where he was buried. Thomas preached to the Parthians, Medes, and Persians; Carmanians, Hyrcanians, Bactrians, and Magians. He was slain in the city of Calamina in India, where he was repeatedly speared to death by four soldiers. Simon the apostle called the zealot preached in Mauritania, and in the country of Africa, and later in Britain, where he was crucified. Matthew, also known as Levi was known as a publican tax collector for the Romans. It is recorded that he wrote his gospel to the Jews originally in the Hebrew language. He did mission work in Ethiopia and Egypt. The Egyptian king Hircanus, is said to have had one of his guards run Matthew through with the spear. Phillip was from Bethsaida in the area of Galilee. He labored among the barbarian nations in preaching the word of salvation for quite some time suffering great persecution. While in the country of Phyrygia, one of their prominent cities Hierapolis, being first crucified then later stoned to death and was buried there on with his four daughters, which Scripture indicates were prophetess. James, son of Alphaeus, sometimes indemnified as “James the less,” some state because he was small in stature. It is believed that James was beheaded by Herod during the great persecutions, yet others maintain that he was crucified in lower Egypt while preaching the gospel there. Jude, also known as Thaddeus; believed by most to be the author of the epistle named after him. Jude suffered martyrdom in the province of Syria around the year 65 A.D.
Judas Iscariot, the disciple that betrayed Christ and committed suicide. John, son of Zebedee, brother of the apostle James, who he was a partner as a fisherman, nicknamed by Jesus “sons of thunder,” along with his brother James, was the only apostle to not die of violent death by natural means at the age of 100 years. Trial #6: Jesus taken back before Pilate. (Matt. 27:11-24; Mk. 15:1-14; Lk. 23:13-24; Jn. 18:39- 19:16). Pilate offered either Barabbas or Jesus; the crowd choose Barabbas to be released, and Jesus condemned to death.